About America Pavers | America Pavers Contractors, Inc.
We start with the selection and ordering of materials and keep you updated at all times. With the America Pavers on time scheduling and delivery systems, you are assured that all aspects of the job flow smoothly. For all materials in stock at our manufacturers and distributors, we will obtain written delivery schedules. 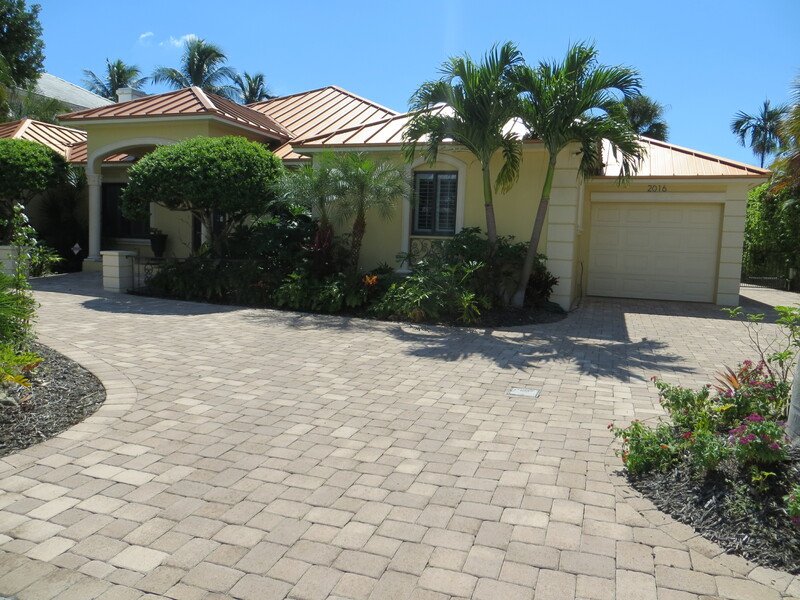 Once we receive the materials and the Building Permits, America Pavers on time installation is managed with our dedicated paver installation crews. We then coordinate all inspections and the site cleanup on your paver driveway, walkway or other hardscape paving project. 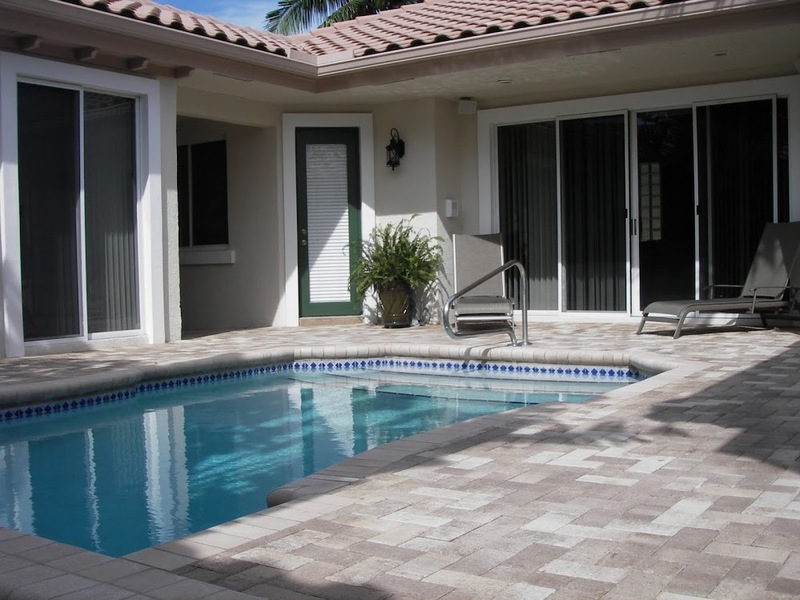 America Pavers Contractors, Inc. was founded in 1989 when a crew of five workmen installed their first walkway. In 1992 our current president, Carlos Fabrica, took over the company’s reigns. Not only were the existing customers satisfied, but also those that followed, leading to thousands of successful installations that have been completed to date. 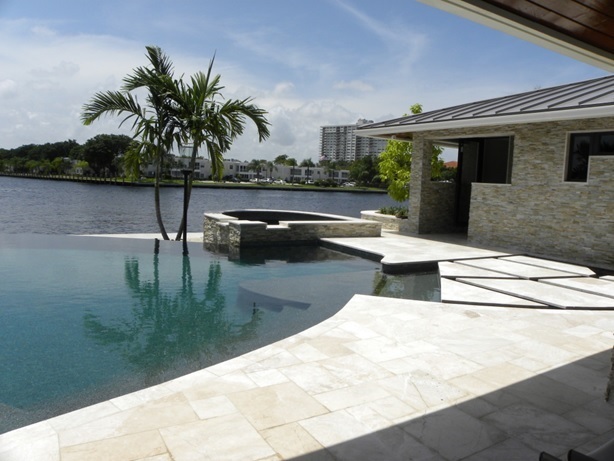 America Pavers Contractors has grown into a much larger and more professional organization that is serving the Palm Beach, Broward, and Miami Dade market. Our teams often consist of over 30 workers and paver installers and they comprise of some of the best and most dedicated people in the trade. Most of them came to America Pavers with years of experience in the paver and brick laying trade and many others have been trained by our Certified Foremen. We provide our own light and heavy equipment for excavation so we cn provide you with total Paver installation services. We want you to learn more about America Pavers, our focus on our customers and the quality of our work, so you will have confidence that we are the right company for you. 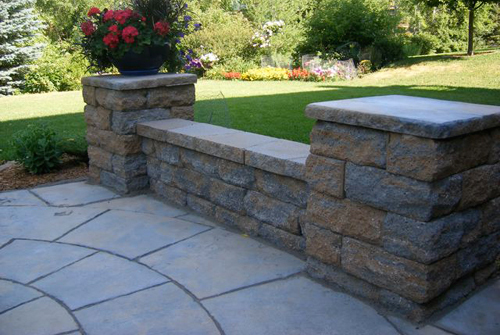 America Pavers specializes exclusively in the installation of various brick and natural stone hardscape components. Our expertise encompasses driveways, walkways, patios, terraces, courtyards, pool decks, steps and stairs as well as retaining walls. From commercial projects of over 20,000 square feet to residential jobs with only a dozen square feet, we bring you the professional experience of our teams with every brick we install. America Pavers has grown primarily because of our superb focus on satisfying every customer. Our team will provide the guidance for you to select the best materials and produce the stunning home exterior paving solutions that you always dreamed about. At America Pavers Contractors we realize that our success is an ongoing process. Consequently we help all our employees perform the best they can. They attend training seminars, lectures, and various classes sponsored by the company. America Pavers understands of the needs of our customers and our great team of skilled workers continues to be the key to our superior paver jobs. It is for you that we work so hard for, always striving to deliver more than your original expectations. This is often extremely challenging, as we manage all of the permits and code requirements for each city and county throughout the Paver installation process. However, seeing your satisfaction truly is the best complement for our efforts, because we all work together for you. As a homeowner you pride yourself on having a beautiful home. We would love the opportunity to provide you with the quality workmanship that meets and exceeds all your expectations. We look forward to providing you with the best customer service, the knowledge of the variety of pavers and other hardscape materials, and the integrity to help you gain the monetary and aesthetic value on your home that you strive for. We understand that customer service is a priority. From the initial on-site estimate to the final inspections the finish project, our goal is to make your dreams, become reality. Whether you have a need for practicality, functionality, or simply a wish list, it’s our priority to satisfy that need. Be it a driveway, pool deck, lanai, patio, walkway, entryway or a courtyard, our objective is to make sure you are extremely satisfied with the superior quality of our work, the materials we use, and the professional way in which we conduct our business relationship with you.